This thread was marked as Locked by cestislife. If you have an issue, create your own thread by clicking here. Since Minecraft 1.6, Minecraft no longer supports Java 5 and PowerPC Macs. You'll need to update to 10.6.8 and download Java Update 16. If you are getting UnsatisfiedLinkError on liblwjgl.jnilib "Reason: image not found", it means that your version of Java is broken. We recommend upgrading to Mac OSX 10.9 instead. Alternatively, install all updates available in Software Updates. If you are getting exit code 1 and you find something that looks like this, you need to upgrade your graphics drivers. If you are getting exit code 225, you need to reinstall Minecraft. Head to your .minecraft and delete everything except the saves folder. If you are getting exit code 255, it means you are in Fullscreen mode and your graphics drivers are not updated to the latest version. Update your graphics drivers. Modding may be a little bit confusing in the new launcher, since there is no bin folder - the new launcher supports multiple versions of Minecraft. Either read this topic about it or check out to get modding working. Note that this is a unmodified client forum - for modded client help, head over to the Modded Client Support section for help. 5. Texture Packs are now Resource Packs. You cannot use a texture pack as a resource pack (and obviously not the opposite). To convert a texture pack into a resource pack, Dinnerbone has made a handy tool here. If your launcher crashes (Windows tells you Java is not responding, Mac giving you a crash) and it used to work in 1.5.2, uncheck the Fullscreen option in Edit Profile, then manually enable Fullscreen by pressing F11 in Minecraft. To really fix this issue, try upgrading your graphics drivers. If you're getting dramatic performance drops and are using a computer with both Intel and Nvidia/AMD GPUs, you need to update your drivers for both GPU, then make sure the Nvidia/AMD GPU is always used in either the Control Panel, or the BIOS., Also, allocating more RAM may fix this issue. Hit "Edit Profile" in the launcher, and in the JVM Arguments option, type in the following: -Xms2G -Xmx2G. Because of the new network code, servers that are 1.6.4 or older cannot communicate with each other. If a 1.7 client tries to connect to a 1.6.4 server, you will get an error. This is not a bug, this is because the server is not updated. You can either downgrade to 1.6.4 or wait for the server to update to 1.7.2. If you are getting this error, that means an application is trying to stop Minecraft from running. Usually, it is junk software and/or malware. Hop onto #minecrafthelp and tell the helpers you are getting this error. 10. Launcher unable to download Minecraft files. This problem is usually caused by malware on the PC, however there are other causes too. Make a new thread with your development console output and somebody will help you. * MSE is on the list because of how useless it usually is, therefore it won't interrupt Minecraft. 5) Double clicking the runMC.command file on your desktop should now open Minecraft. There are paths of which I must walk alone, for the reward is a companion for the rest of it. <@LG_Legacy> I made god cry? o_O"
ive noticed over the last month or so that the game keeps requiring access to new authentication server ip's, so i started keeping track of them. I use my shoe temporary Minecraft window sponge. What About Mac Osx 10.9 (Mavericks)? Are There Any Issues In That? This will be fixed in 1.7.3.
not sure what category this falls under, but could you please tell me a solution. Deadchim, under settings, click on Super Secret Settings multiple times until it goes back to normal. I don't believe this is due to the shaders. It's also got nothing to do with secret settings. It is triggered when I pick up flowers. so far so good. I hope that works thanks! This happens when I open the launcher before the news screen comes up.Is there a way to fix it because I have downloaded the launcher multiple times and each time I got rid of the .minecraft folder for a clean re-install. Any help? I get an "Unable to create JAVA VIRTUAL MACHINE" when I hit play and it attempts to download and run 1.7.2. I haven't played in a while and not to long ago I had removed Java Version 6 because I also have Version 7 installed. Now this happens. Any ideas? Will try installing latest version 6 and see what happens and update. Running W7 BTW. Edit: version 6 is not available. 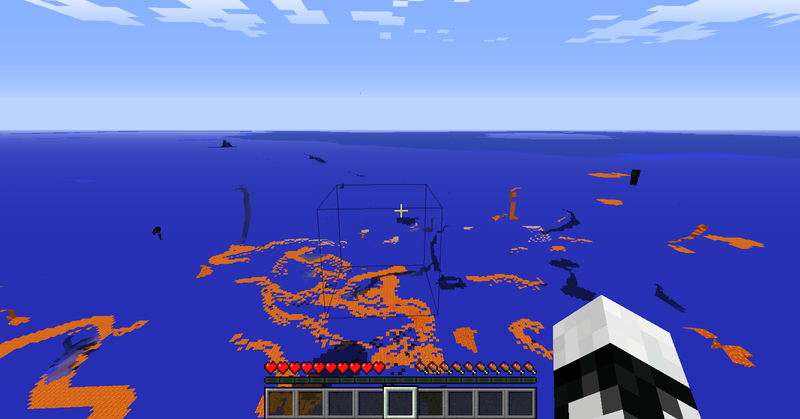 Is this a Java issue or Minecraft issue? Fixed: I had my Java Argument set to 2048M so it would run better. Something must have changed because I set it to 1024M and it runs now. Must be a JAVA thing. Not sure if anyone else is experiencing this but with this latest update, exiting minecarts moves you 2-5 blocks from the cart rather than right beside it. 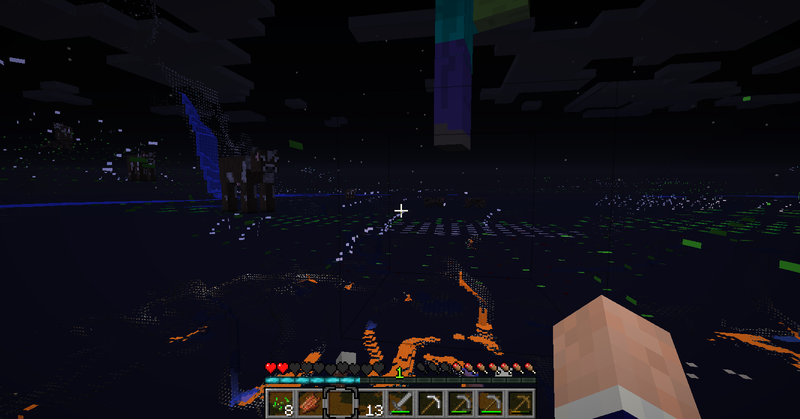 This is devistating if your minecart terminates in a narrow enclosure in the nether. Serveral players on my server have plumeted to their fiery death in what used to be safe areas owing to this bug. Was the change to cart exiting intentional and if so, can it not be? If you are getting this error, that means your antivirus is trying to stop Minecraft. For now, the only fix is to uninstall your antivirus. well actually someone just told me to turn off the mipmapping and it worked for me, I haven't had any problems since then. i get read timed out error in 1.6.4 and then on 1.7.2 I get "an existing connection was forcibly closed by the remote host" when im playing on a server,I cant go more than 5 minutes on a server without getting this error. anyone else have this problem? Location: Oh, The Places You'll Go! Anyway I was on my favorite server in 1.6.4 happy as could be, when I figured out I could get Redstone lamp ons (the technical block, as an item) by breaking a powered redstone lamp with silk touch. I thought that was pretty neat and lol'd, however, when the server updated to 1.7.2 I had a problem. Part of the update notes said something about technical blocks no longer being items (redstone lamp on is a technical block), therefore if I try to log on to my beloved server, I am on for half a second then I get a missing ID crash. I am no longer able to play on this server due to the problem. The only solution would be to ask the server owner to downgrade the server, allow me to get rid of the blocks and re-update the server. The problem with this is, anything build with 1.7.2 blocks would be destroyed. A possible fix to that would be those 1.7 blocks would still be there as long as that area isn't generated however, I am unsure if that is true. I am very sad about this problem and the server forums is completely counter-intuitive (there is no post or reply button ANYWHERE ON THE WHOLE PAGE). So please, if anyone knows of a solution, can provide some insight, or even if anyone else has had a similar problem, I'd like to know. There aren't any drivers from intel for Windows 8.1 > Anybody help? Make your own topic, and give them a link to your DxDiag report.